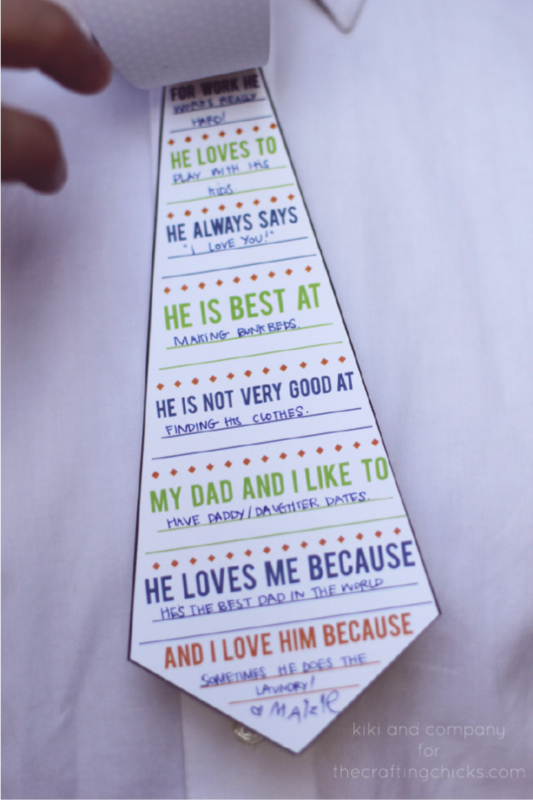 This Daddy Tie is a fun way to give dad a card for Father’s Day this year. Simply print and cut out the tie and have your child fill out the questionnaire. Click here to get this FREE Daddy Tie Card Printable from Crafty Chicks.